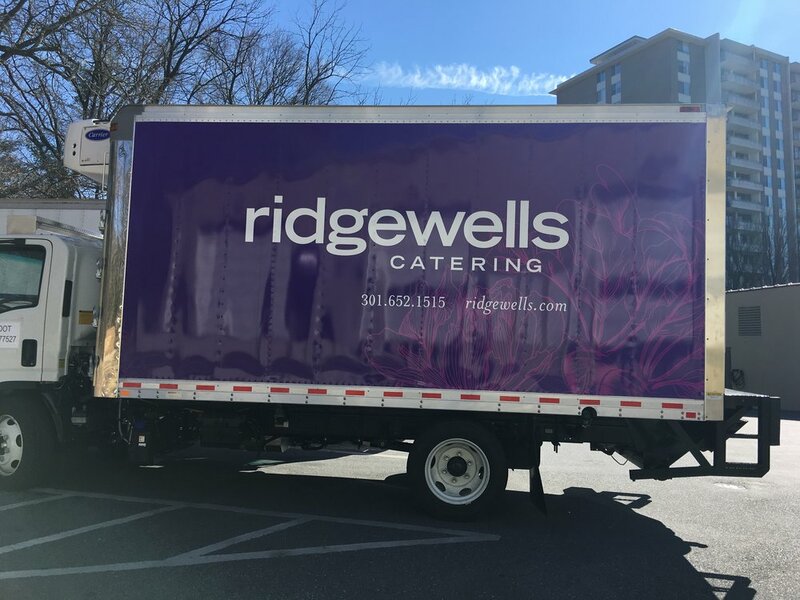 Ridgewells, a local catering company and long-time client, approached us to apply graphics to their new fleet vehicles: refrigerated trucks. The graphics had already been developed by their in-house designers, so our first task was to take measurements by using a simple magnetic ruler and taking photographs. Using the ruler in the photos, we can scale the graphics to the appropriate real-world size. In this case, we were basically printing a mural on each side of the trucks. 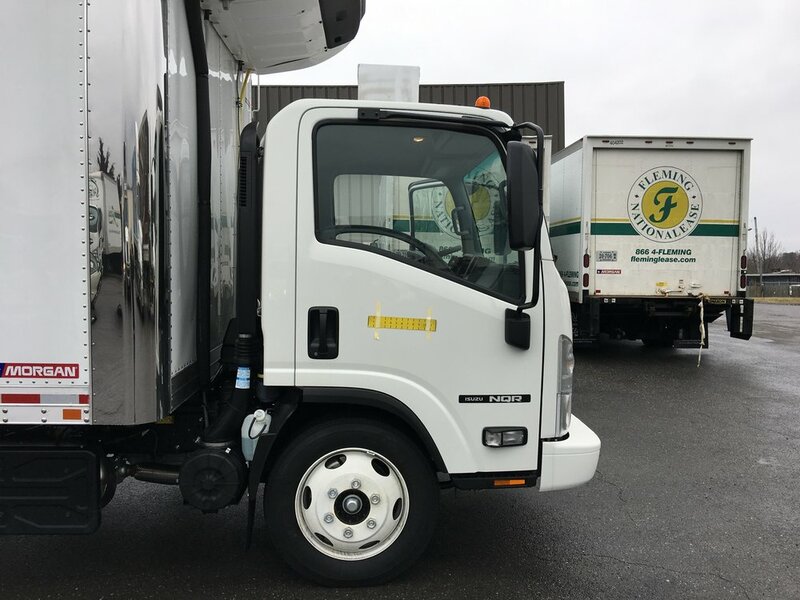 The graphics for each side consisted of four panels of laminated vinyl with 1-inch overlapping seams; graphics for the rear door were two panels. Other graphics were die-cut vinyl. 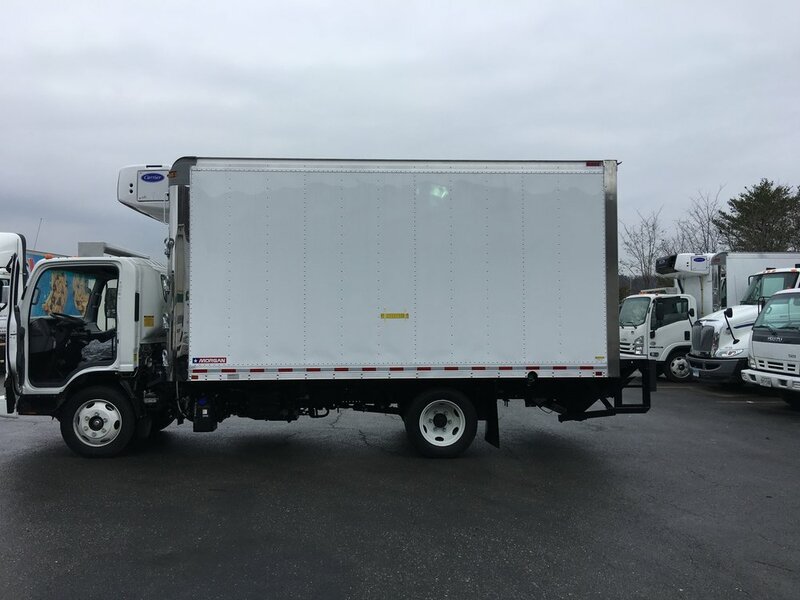 Each truck took about a full day to apply graphics, and now that we're done with those, we're ready to move on to the vans.